In agreement with our mission to help train future generations of Puerto Rican scientists, on September 24, 2012 CienciaPR held a symposium entitled "I want to be a scientist ... Now what do I do?”. Over one hundred undergraduate and graduate students from 15 universities throughout Puerto Rico attended the symposium, which also involved the participation of professors and researchers from various institutions. 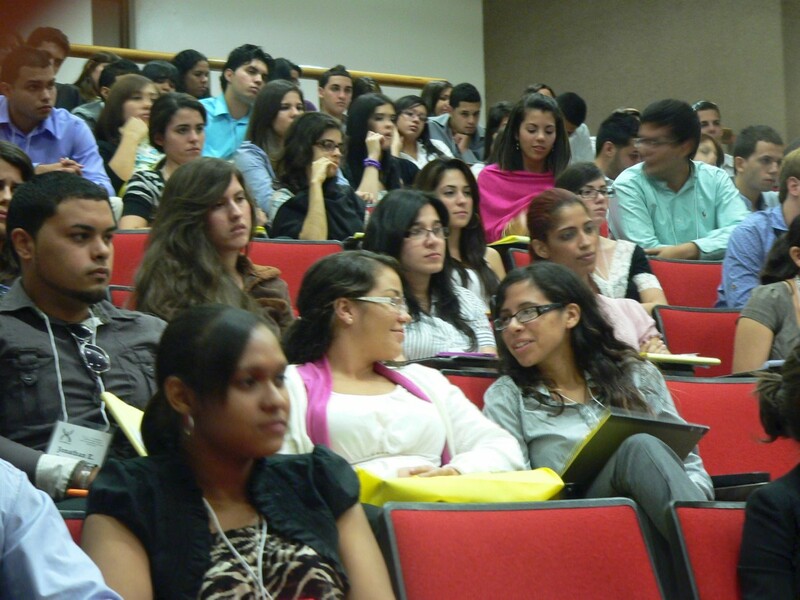 The event was held at the Medical Sciences Campus of the University of Puerto Rico. The symposium covered various topics relevant to the process of training in scientific research and graduate school, including how to apply to graduate school in the biomedical sciences, various strategies to succeed before, during and after the doctorate, scholarships and funding opportunities, and career choices after PhD. Several CienciaPR team members, professors from the University of Puerto Rico and program officers from the National Institutes of Health, USA (NIH) provided presentations and panel discussions. The activity was sponsored by Amgen and the Research Centers in Minority Institutions (RCMI) program at the University of Puerto Rico, Medical Sciences campus, under the leadership of Dr. Emma Fernández Repollet.